The 16th edition of the biannual IEEE/RAS-EMBS International Conference on Rehabilitation Robotics (ICORR 2019) is a forum for concepts in robotics for rehabilitation. Prosthetic, assistive, diagnostic, and therapeutic robots continue to face challenges of adoption by the users. We expect that our meeting, subtitled "Clinical Choices," will provide an opportunity to shape this discussion by bringing together individuals interested in real-life application together with robotics experts and commercial providers from around the world. 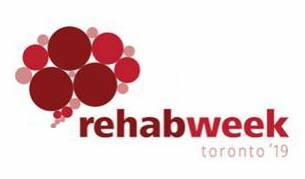 This year the conference take place on June 24-28, 2019 in Toronto as part of the RehabWeek 2019. It is the third time ICORR is part of RehabWeek since the 12th ICORR in Zurich in 2011. We are very excited with the programme being put together which will fundamentally promote the exchange of ideas and experiences between engineers, clinicians and users. Return to this site later for more information as it becomes available. Join the Rehabilitation Robotics Listserver -- Click here to find out more. Internet services provided in part by Hypertouch® Inc.